is a postcard listing 10 essential but little known facts urgently needed by friends, neighbors and community members so they can make the only "informed choice - complete avoidance and refusal." 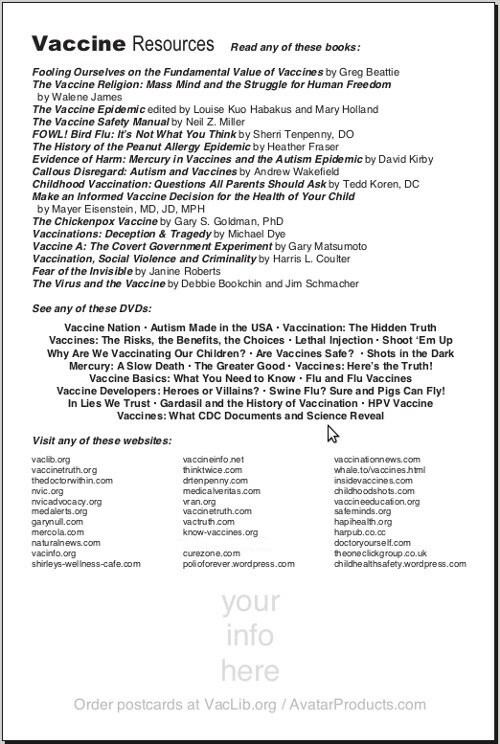 The back of the card lists 14 recommended books, 10 great DVDs and 27 informative websites. There is also a space on the back of the card for advertising your contact information or availability of a support group meeting. 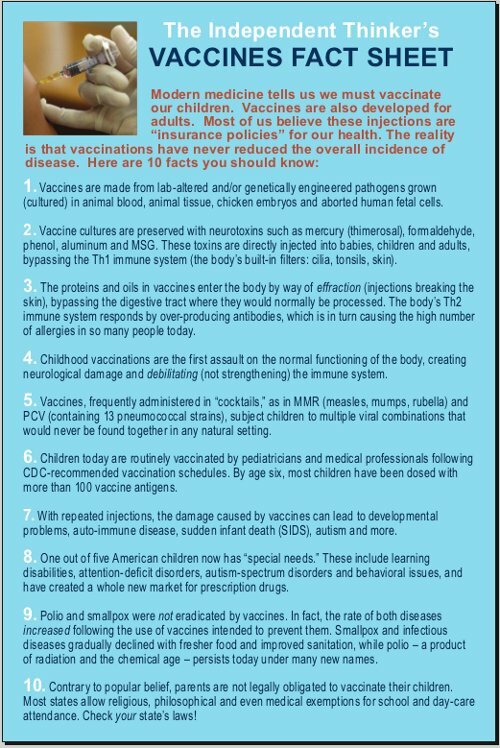 We suggest buying quantities to "drop" around town, actively sharing truthful information on vaccines. Use the X in the upper right corner to close this page.